Understanding Signals with the PropScope Text. Understanding Signals with the PropScope Example Code. 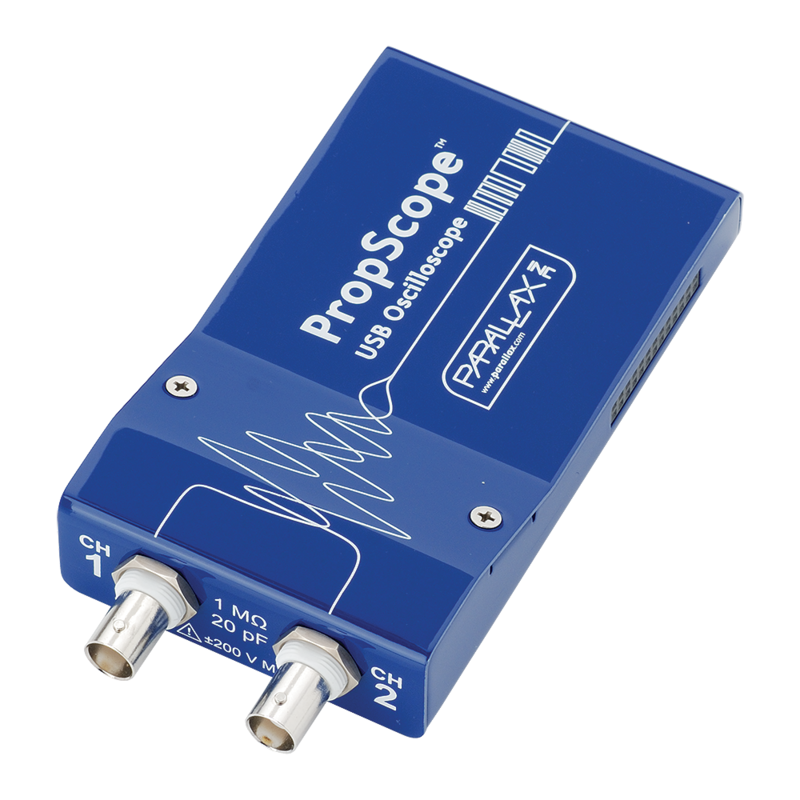 Understanding Signals with the PropScope Supplement. 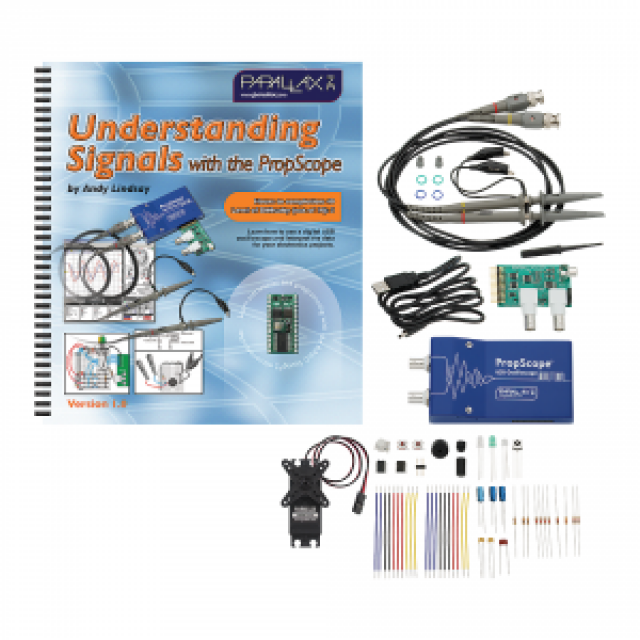 This kit includes the PropScope USB, electronic components for breadboard circuits, and a printed text that guides you step-by-step from the basics through advanced electronic measurement techniques. All the circuits and design technique examples measured in the book are standard ingredients in electronic product designs, and are also widely used in science and industry. This kit is an excellent resource that can be applied in many ways to science, technology, engineering, or mathematics (STEM) programs. 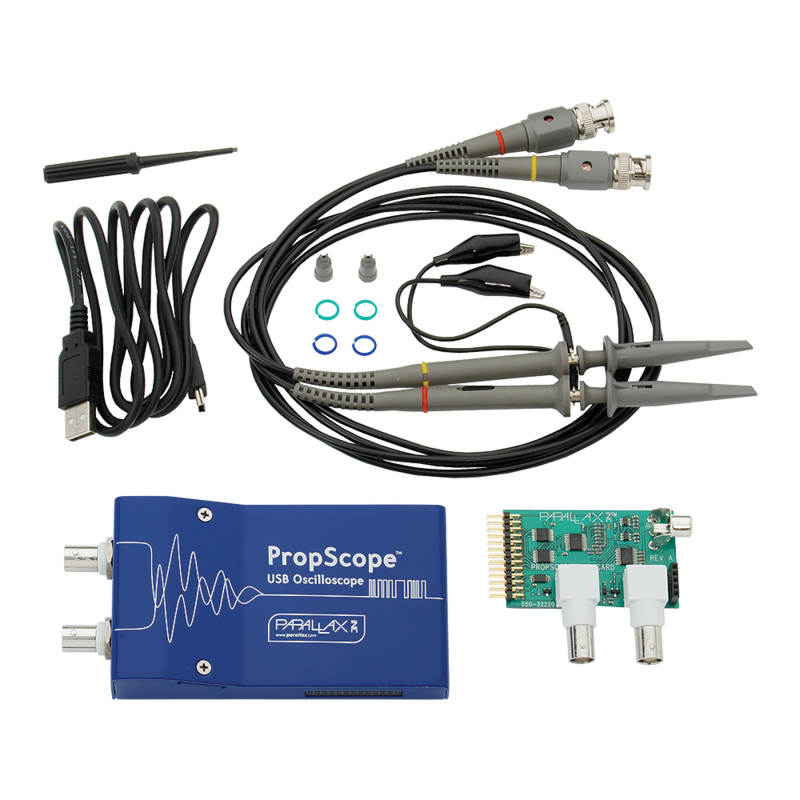 It begins with an overview of the PropScope’s electronic test-bench tools. DC voltmeter – measures voltage levels. 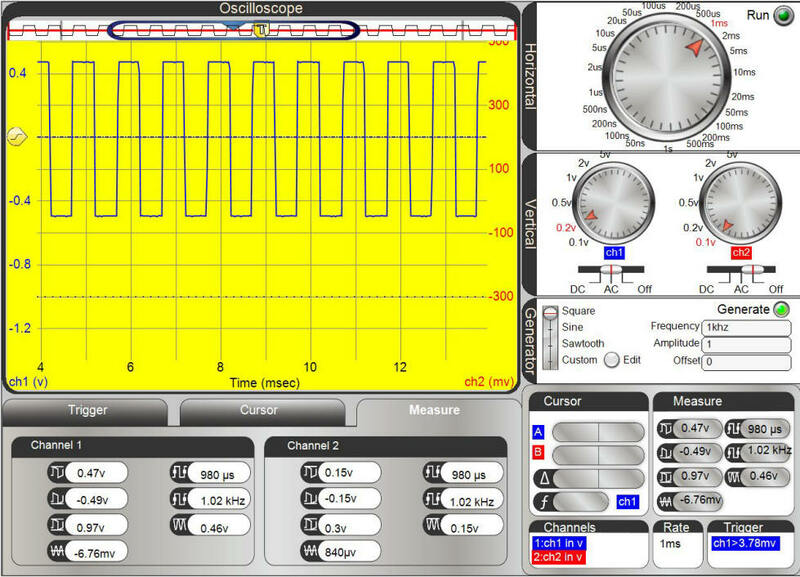 Oscilloscope – measures and plots voltages that vary with time. 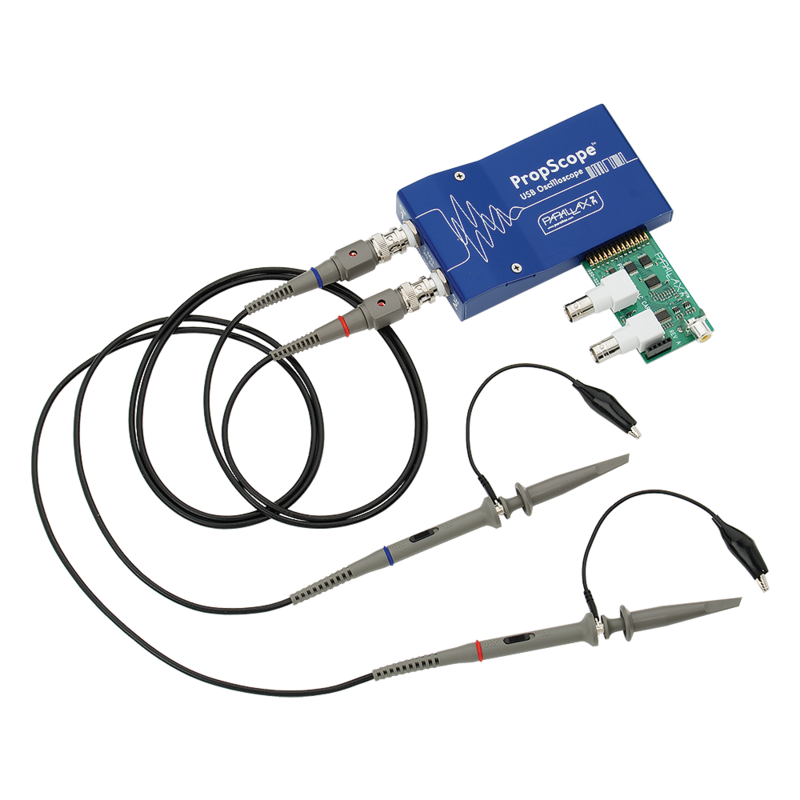 Logic analyzer – measures and plots digital signal levels. 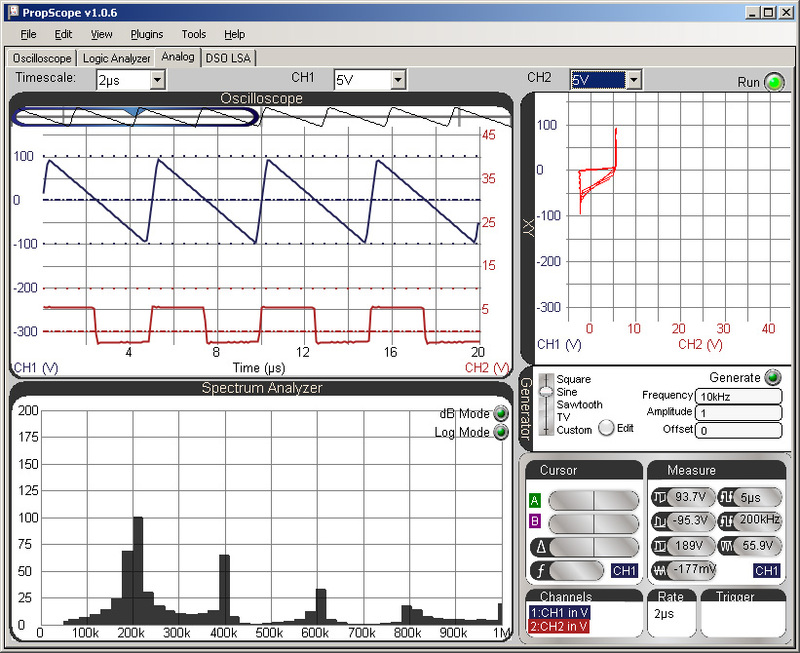 Spectrum analyzer – measures and plots sine wave components in signals. Function generator – synthesizes signals for testing circuits. 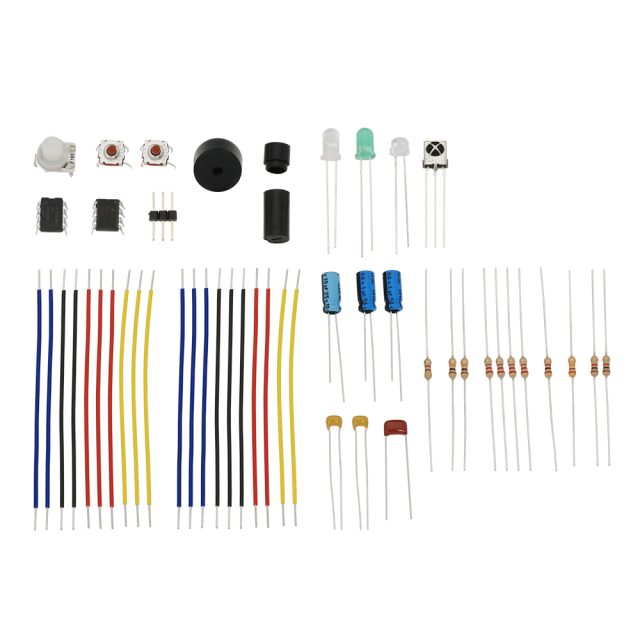 LEDs, pushbuttons, IR reciever, phototransistor, potentiometer. Op-amp and A/D converter ICs. Resistors, capacitors, and jumper wires. NOTE: Board of Education and BASIC Stamp 2, or BASIC Stamp HomeWork Board, is required; sold separately.